Ready for some news that made me extra emo? I’ve been invited to perform at my high school alma mater (which is all of 5 minutes away, lol) at an event being put on by the “Strong Women Impacting Society” club. Not only am I so excited that Ithaca High School even has such a cool club, but I am honored they would like me to be a part of this wonderful event. The program will be taking place on Saturday May 30th at 7:00pm in the basement of St. Paul’s Methodist Church [402 North Aurora]. 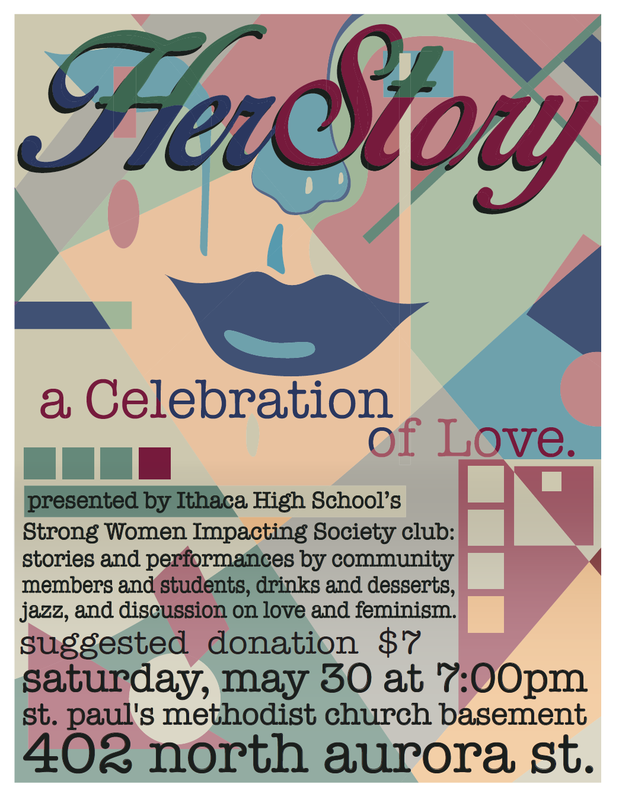 The suggested donation is $7 and all money will be given to the Advocacy Center (a hugely valuable resource to the women in Tompkins County). Because of the timing this unfortunately means I’ll have to dip from the Ithaca Festival right after my set at 4:30pm, but I couldn’t think of a better reason to roll.